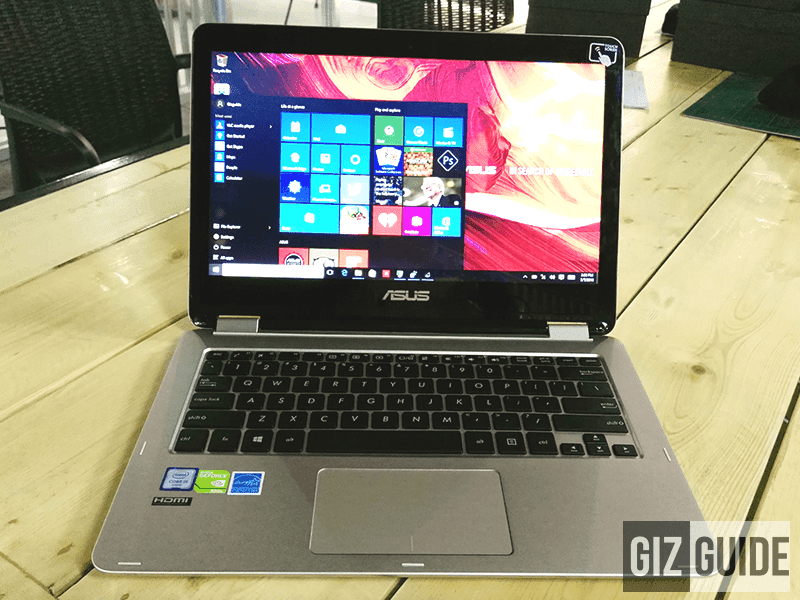 Asus VivoBook Flip TP301 Unboxing And First Impressions! Your Next Ultra Portable Machine? 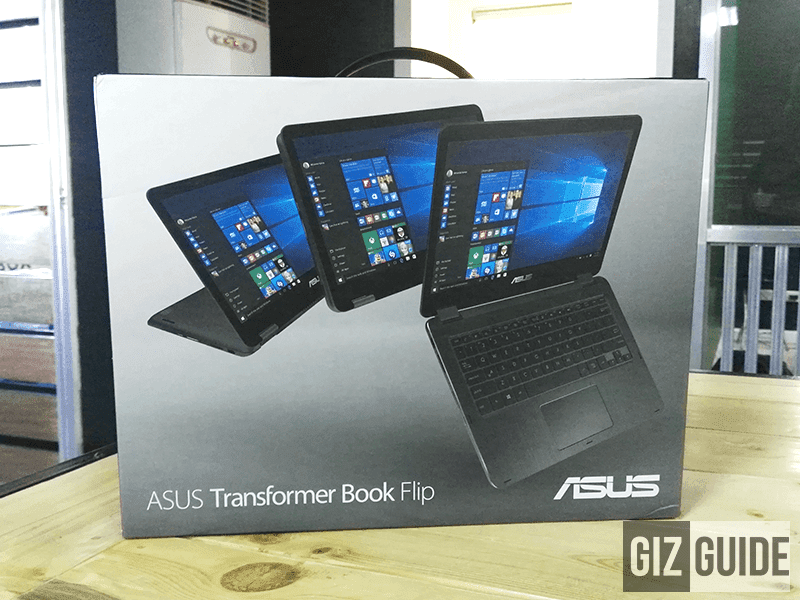 Home / asus / pc / reviews / Asus VivoBook Flip TP301 Unboxing And First Impressions! Your Next Ultra Portable Machine? 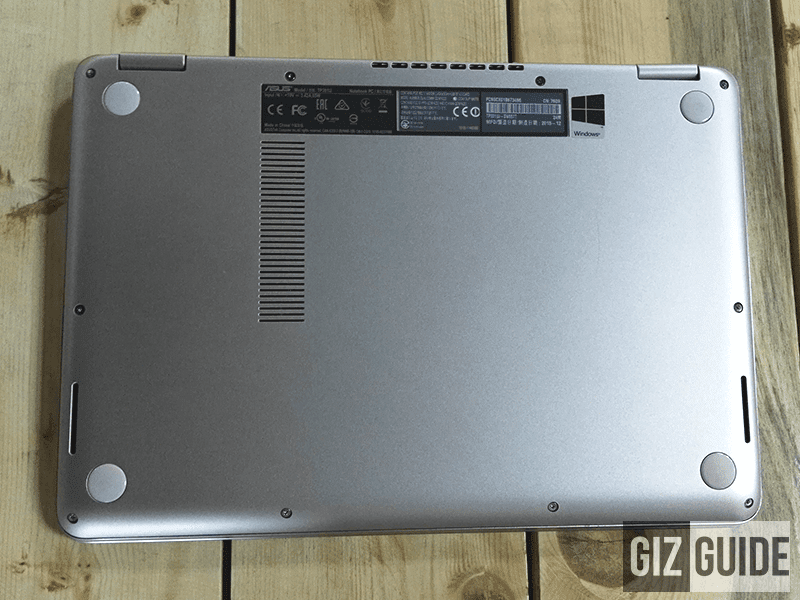 Portability, power, battery life, entertainment and different usability are traits not often achieved by conventional laptops. Those are also the very important characteristics that most people who's always on the go like me wants to have. Is that even achievable without shelling out Macbook Air high like of cash? 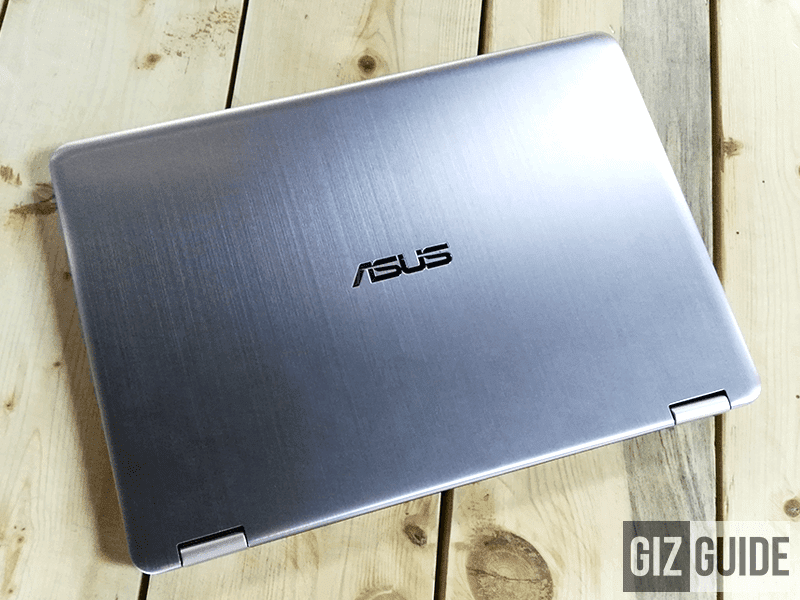 Just few days ago, Asus Philippines announced the VivoBook Flip 301 series, machines that goes with up to Intel Core i5 6th gen type of processor. Will this be the answer to our dilemma? Let's all find in this two part review. Note: There are two VivoBook Flip TP301 variants in the country, first the i3 edition called the TP301UA and the more powerful i5 powered TP30UJ. The only difference between them are the internals, bu they're very similar in build, ports and design. For this review, we have the higher end TP301UJ. Let's begin! Surprisingly, the VivoBook Flip didn't come in a huge box. It's small enough with a carrying case like of design that's easy to hold and carry. 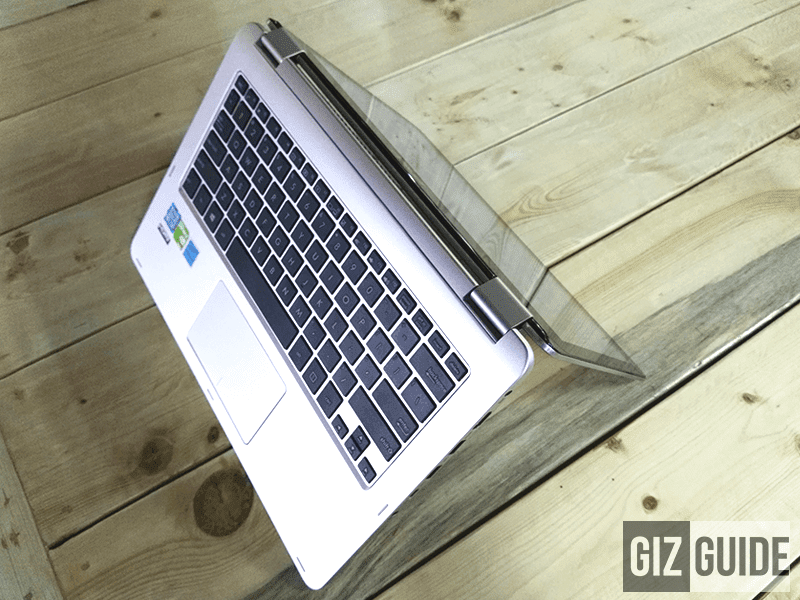 Upon opening the box, you'll be greeted by the VivoBook Flip immediately in a well presented manner. Upon digging further you'll get the a wall charger and paper documentations. 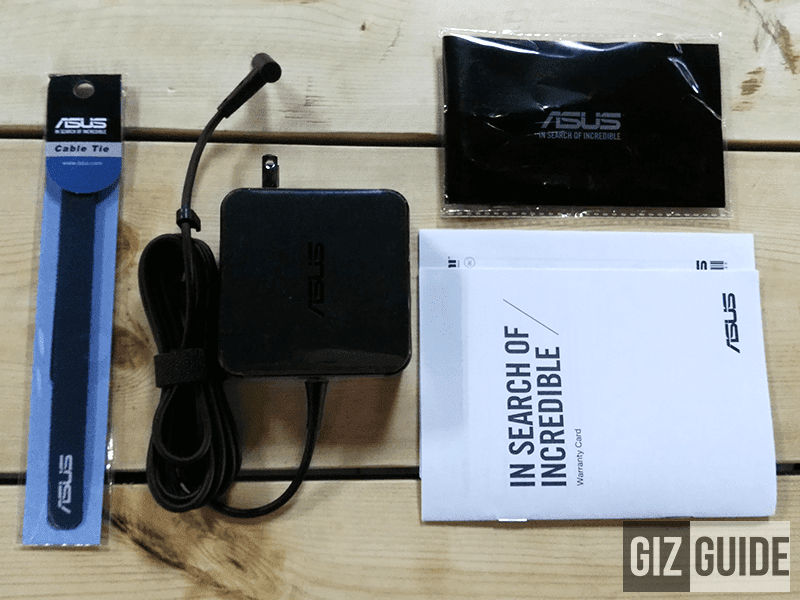 I liked that aside from the regular laptop package, Asus decided to include some FREE items such as the cable tie / strap and microfiber cloth. In terms of materials used, this is one of the finest midrange to upper midrange laptop / tablet I ever used. It's mostly made of durable looking brushed aluminum in the cover, frame and hinge portion that adds more confidence in its durability. The LED screen is truly made out of glass and it appears to have some sort coating that prevents light scratches. The chiclet keyboard is made out good plastic that also presents great improvement over the hard to touch keyboard of our old T100. The keyboard intelligently turns off in tablet mode too! 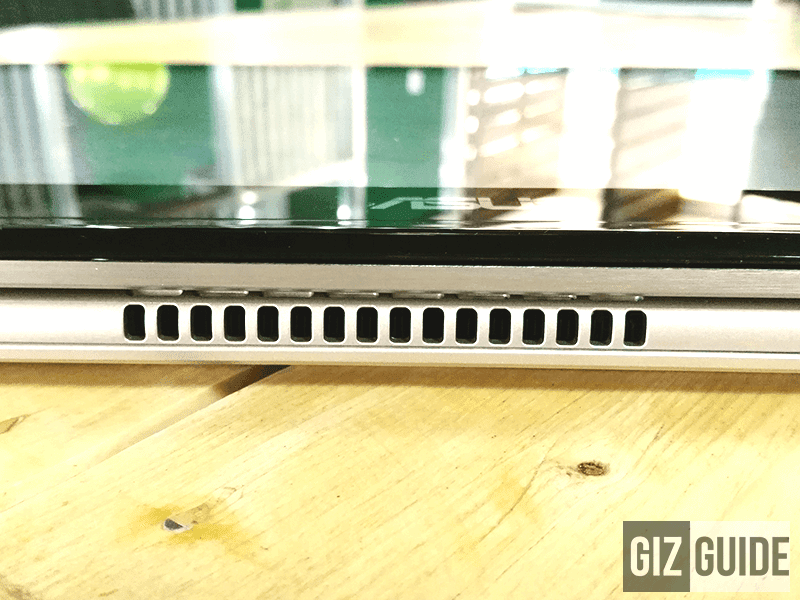 Being a flippable like device, it's expected that the hinge of this will be abused when switched to tablet or tent mode. 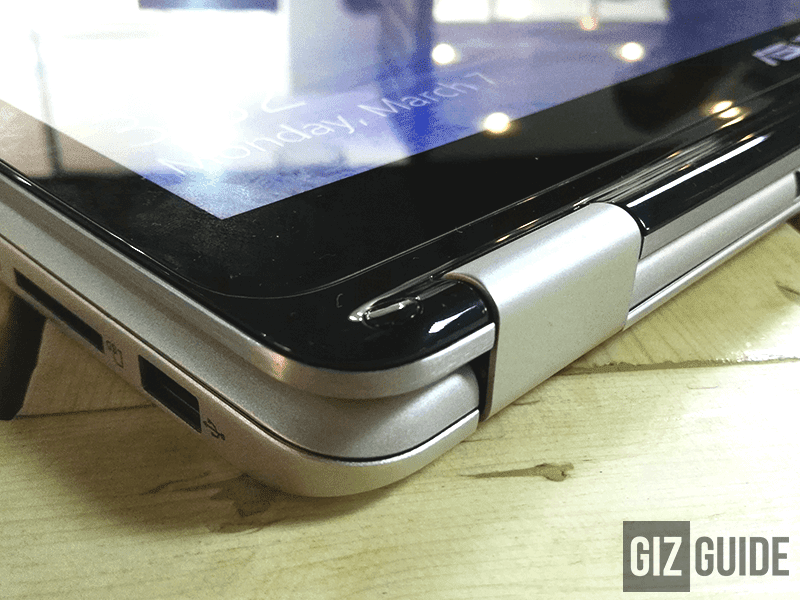 Fortunately, Asus followed the same proven 180 hinge degree design of Lenovo's lower end Yoga series. 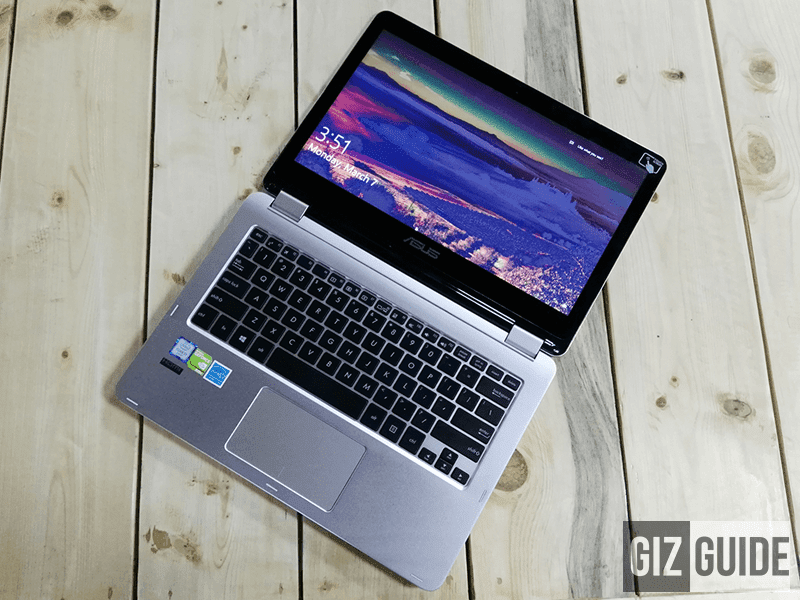 Aside from that Asus improved on it by a little as this one feels tighter compared with the Yoga 500 we have for review. There are also 4 rubber stoppers below that prevents the laptop from falling in slippery surfaces. In terms of design, this ultra portable resembles the very clean look of Apple's Macbook which is a proven and effective design. It has that smooth semi rounded rounded top and buttom edges, fan at the back and two down firing speakers below. Another surprising aspect that we discovered here is this ultra portable features plenty of mostly properly placed ports. You'll see the power button, volume rocker, SD card card and 1x USB 2.0 port on the left. On the right side you'll find the headphone / microphone jack, 2x USB 3.0, 1X USB 3.1 Type C, HDMI and DC in ports. It also boast a slim profile at just 19.9 mm which is at least 4-5 mm slimmer than conventional laptops that's not heavy at around 1.5 - 1.7 kg. To nitpick, I find the volume rocker a little hard to press and the power button awkwardly placed on the left as I find it harder to reach. I would also like it better if the speakers below is located in front for that front firing effect to sound wider. As I said, that's just nitpicking on my part and it' really not that much of an issue. 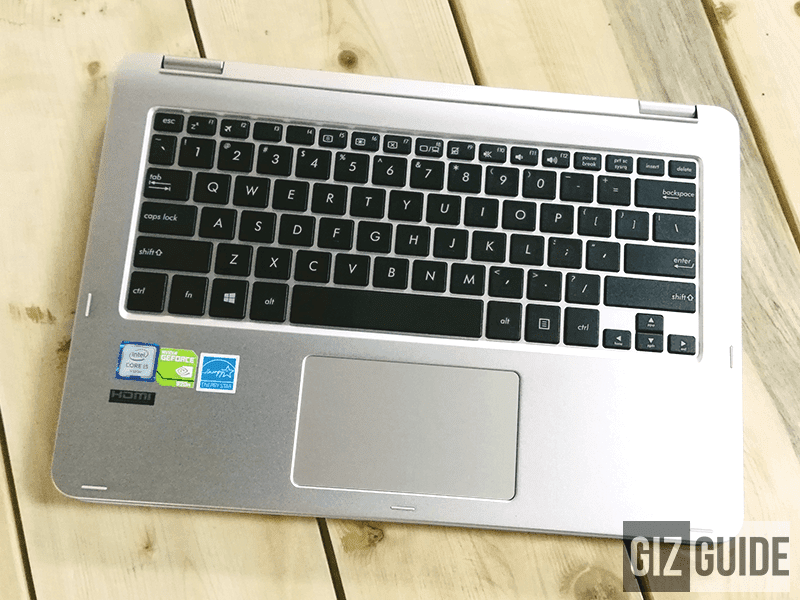 As a result the VivoBook Flip TP301 series is a looker that should attract a lot of people who wanted a machine with great looks and usability. 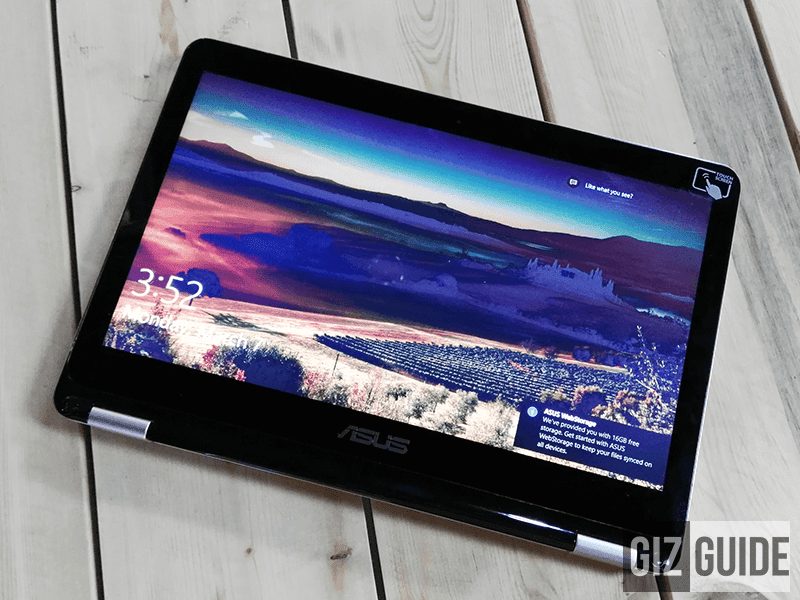 Lastly, Asus made sure that it's refined and excellently forged that won't make you worry on having unwanted QC issues such as sharp edges and etc.